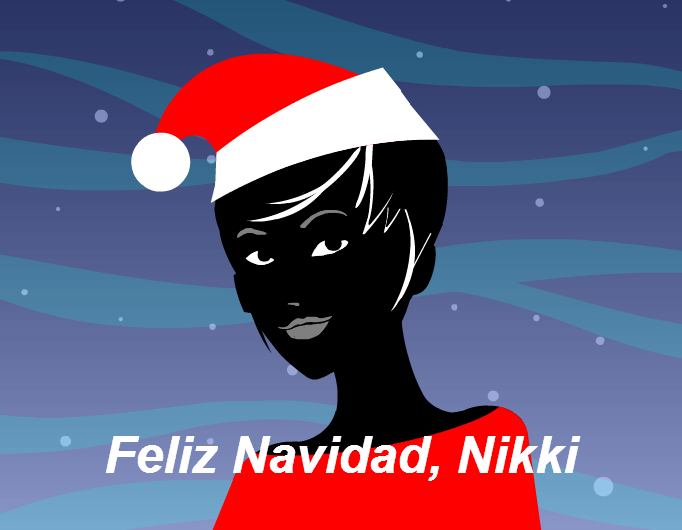 Stripgenerator.com - ¡Feliz Navidad, Nikki! This strip is a reply to Xmas card for Veronique, Postcard for Asfaltocaldo, Postcard for Asfaltocaldo, Feliz Navidad, Nikki! That look, I don't know what it is... But it has my attention..
thanks ppl for bribing this strip! jejeje Nikki estoy contenta que te guste! ¿cómo va la Navidad?